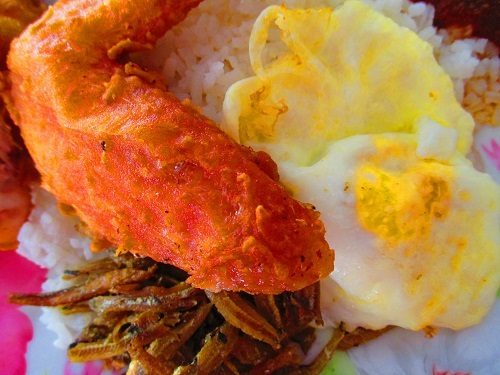 This is one of the few stalls compete with each other for this popular food to be honored the King of Nasi Lemak. We have tried the other one diagonally opposite; Sri Sujana Nasi Lemak impressed us deeply on their heavenly fragrance rice and good chili sauce. So far no one come near to their standard when talking about the rice from Sri Sujana. 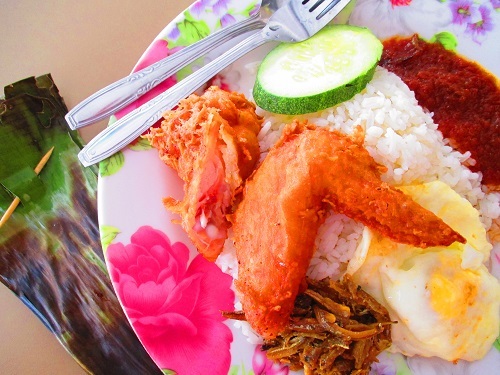 You can find out more from the review about Sri Sujana Nasi Lemak in our blog under Singapore Hawker Food Nasi Lemak category . The perpetual long queue was palpable during weekend waiting patiently for the steaming hot rice from the Mizzy Corner Nasi Lemak. The snaking queue was a obvious contrast to the sparsely visits by the customers patronized the Sri Sujana. Honestly speaking, after tasting the Mizzy Corner and compared with Sri Sujana, we think justice need to be done to the over-hyped Nasi Lemak Mizzy Corner and give the far under-rated and much impressive underdog-Sri Sujana Nasi Lemak some boost. A lot of attention was given to the rice and chili, both represent the stars for this dish. We have to agree the rice from Mizzy Corner was too ordinary, missing the critical mass of the nice coconut and pandan fragrance, very disappointing compared to Sri Sujana Nasi Lemak. The chili from both of the stalls was sweet and nice, blended very well with the rice. 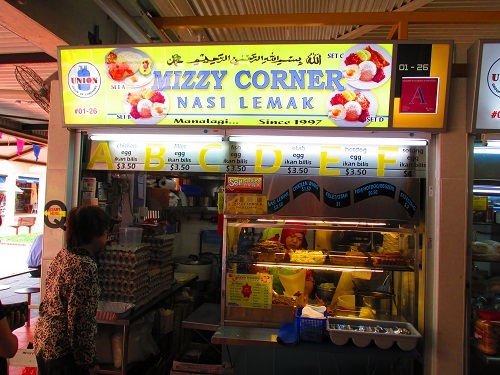 Mizzy corner Nasi Lemak may have an upper hand on the ikan bili which was of better quality grade and nicely fried to the right crispiness, the Chicken wings were comparable with Sri Sujana. Our final verdict is very clear, from the rice to the overall standard; Sri Sujana Nasi Lemak wins by the majority votes. It is definitely one of the best Nasi Lemak in Singapore. … Sorry for Mizzy Corner, we have to send you home tonight……..